For almost a century, McGill University has held on to the name ‘Redmen’ for their varsity sports teams. On Tuesday afternoon, McGill students gathered on campus, denouncing the names’ historical, systemic oppression against Indigenous people. 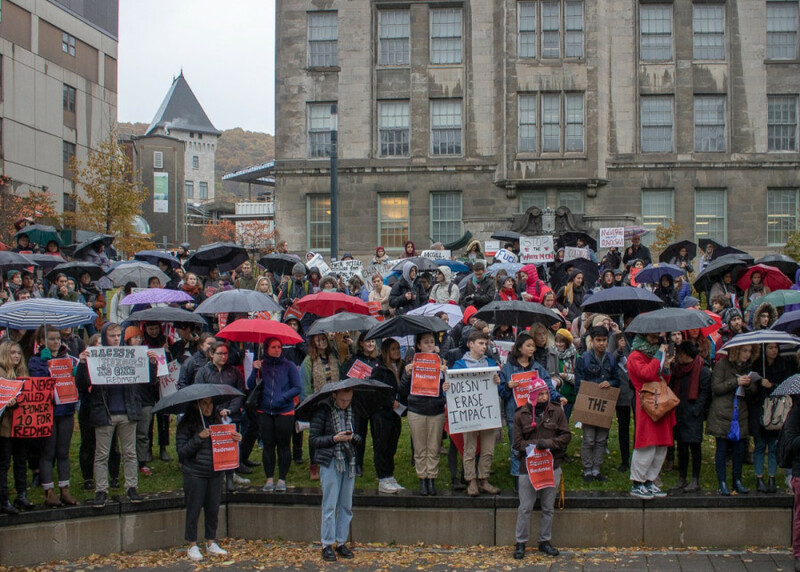 Organized by the Student Society of McGill University Indigenous Affairs Committee, the demonstration was embraced by gloomy fall weather and rain. Speakers took turns discussing how important it is for the McGill administration to consider the rally’s cries and change the men’s varsity team name. Nakuset, executive director of the Native Women’s Shelter of Montreal, talked about the names used are a representation of how history has dealt with Indigenous issues. “We would give [men’s varsity teams] a proper name, but they don’t ask, they just take our image for what they think is strong and use it,” she said. The history of the Redmen name dates back to the 1920’s when McGill first named their men’s varsity teams after the school’s colours and the jerseys that the athletes wore during games. “It has never been about the strict definition of that word but about the impact that [non-Indigenous peoples] will never fully understand,” said Sophia Esterle, the vice president of student life at SSMU. Ever since the 1950s, McGill has used derogatory slurs against Indigenous people as a way to label their sports teams. The slur “Squaw” which holds racist and oppressive significance for Indigenous women, was used to refer to the women’s varsity teams. The name “Indians” was also used to refer to men’s varsity teams in the 1930s. The university’s hockey and football teams’ jerseys were stamped with a logo of a headdress during the 1980s. “I can never call myself McGill proud if that pride is inherently associated and rooted in oppressive and racist stereotypes,” said Esterle. Ella Martindale co-chairs of the Indigenous Students Alliance explained the name rejects her identity. “This issue […] connects to everything that I have a problem with at McGill and in Canada,” she said. Joshua Archibald, defensive lineman with the McGill football team, said he supports changing McGill’s varsity team name. 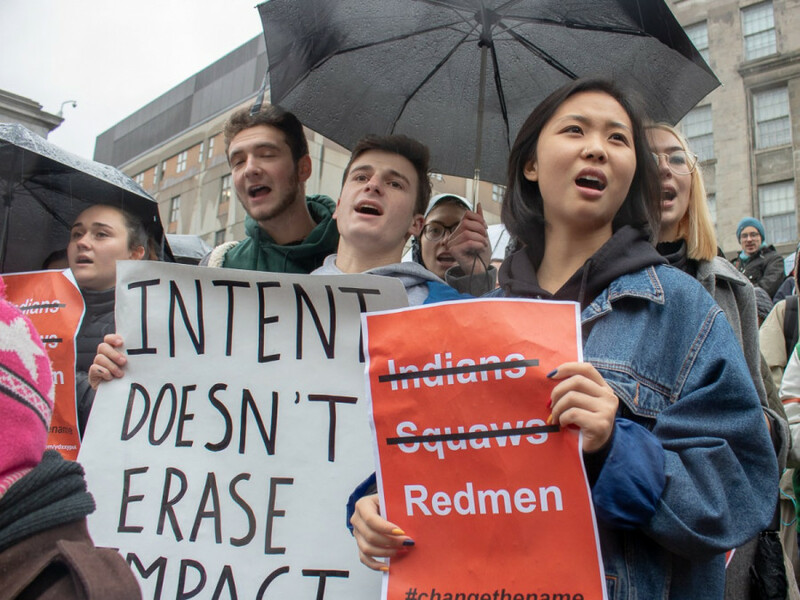 “The notion of exclusion is inherently present within the McGill redmen name and is not a proper reflection of the environment manifested by the football locker rooms,” Archibald said. “With my support and the support of many student athletes, I think it’s time for change,” he continued.